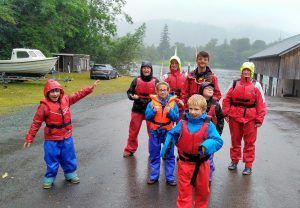 Deaf children from all across the county have tried something they have never done before by taking to the waters of Lake Windermere. 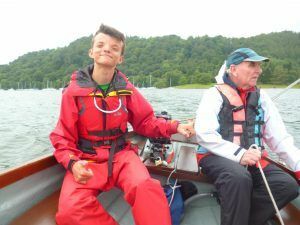 Cumbria Deaf Association received £500 from the Roselands Trust to get 10 youngsters together for two sailing sessions on the lake with Blackwell Sailing. The project gave the opportunity to build relationships and socialise in comfortable surroundings. The Association provided an interpreter for both sessions, and offered free transport to those families who did not have their own. Esther Palliser, Children and Families Worker at the Association said: “A sailing session could be something a deaf young person may not have done before because they may think they can’t do it. Cumbria Deaf Association, based in Carlisle, provides a wide range of specialist services such as community and social activities and events, interpreting, social work, care and support packages, British Sign Language skills courses, and deaf awareness training.